WordPress Plugins add functionality so that you can customize your website for specific needs. These 10 essential WordPress plugins are ideal to help improve search engine optimization as well as user experience. With so many plugins available, it can be a little overwhelming to figure out which ones you should use. I put together this list of my top essential plugins for WordPress. Most of these are free too! There are many cool plugins that you can install but don’t go crazy with them. Only install those plugins that are essential to your Internet marketing goals. If you add plugins to WordPress for no good reason, you may be slowing your website down with unnecessary bloat! 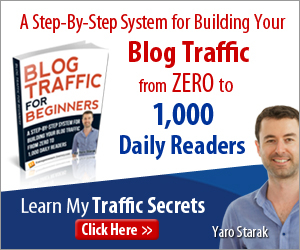 If you are using blog commenting to get additional traffic to your website, then you will love Thank Me Later! This is one of my favorite essential WordPress plugins because it sends a followup email to people who comment. You can customize the email content and how long after the comment the email should be sent. If you want more traffic this is a great way to get some by reminding past commenters about your website. Backing up your WordPress blog is a must. Anything can happen even if you have the best web hosting provider. Backing up your blog automatically can help you in a disaster situation where everything is lost for one reason or another. Backup WordPress does a good job of maintain a backup of your WordPress site. Let’s talk about delivering pages fast on your website. This essential WordPress plugin caches your website pages for faster loading. There is nothing worse than a slow loading website to discourage new visitors and search engines! Keep them both happy with W3 Total Cache. Usually when visitors leave a comment, they are redirected to the same page where they left the comment. With Comment Redirect, you can direct comments to a page that you choose. This is a nice way to thank a person for visiting your website and also introduce them to other great posts. You want people to stay on your WordPress site as long as possible! Spam is an awful problem on WordPress. After you start your blog, the spammers will literally take over your commenting. Stop the spammer with one of the best essential WordPress plugins, Askismet. Display a set of related posts on your website or in your feed. This plugin is essential because it helpts to increase reader retention and reduce bounce rates from visitors. Contextual Related Posts has a vast array of features like thumbnails, shortcodes, widgets, custom post types and CSS styles. More social sharing contributes to more traffic to your website! Social Warfare displays social icons in the sidebar or other locations and encourages social shares. Plus it looks great! Google doesn’t like anonymous sites. Create your “contact us” page so users have a way to contact you and Google knows your site is not anonymous. Gravity Forms includes more features then most WordPress contact forms out there. You can create forms that range from a simple opt-in to more complicated forms. You can automatically redirect all 404 errors to any page using 301 redirect for SEO. You can redirect and log every 404 errors. No more 404 errors in Google Webmaster tool. When you get these type of errors, Google will flag those errors on your website. Not good! Solve it with this essential plugin for WordPress. There are your ten essential WordPress plugins to improve SEO and usability on your website. If you are still a little confused about setting up your site for search engine optimization, don’t be! 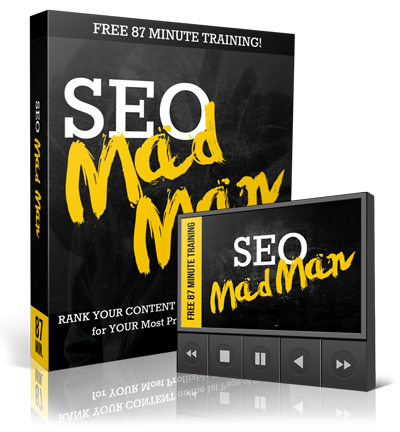 Grab this free training to set up your WordPress SEO for success!